A local toymaker and all his factory workers mysteriously vanished on the same night. It's up to you, ace reporter Mary Bingham, to delve into the town's hidden mysteries to discover the truth. But first you'll need to understand the strange inhabitants to solve the riddle of the shuttered toy factory. Is the ominous figure in black trying to help you, or is he leading you into certain peril? What lies beyond the elaborate labyrinth? Uncover a new world of shocking secrets as you hunt for clues in this heart-stopping mystery-adventure! 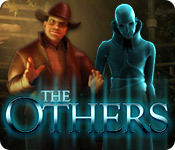 The Others is rated 4.0 out of 5 by 74. Rated 5 out of 5 by BUFFALOCHIPS from Honey, you have to play this game! I told my wife that I have never had so much fun playing a game before. Others have described some of the fun challenges in this game, but I'm not reporting about that. I'm writing this review for one reason, and that is to tell you to buy this game. You'll be laughing one minute, and racking your brain the next. In a lot of the places they don't tell what to do, they don't even give you a hint. You'll have to play it to understand me, and again I'm telling you that is one of the best game that I own, and I own hundreds of games. Have fun. Rated 5 out of 5 by tekeguy from Best Daily Deal I Have Ever Bought I don't rate a lot of games but I have been buying the newest collector's edition HOGs as soon as they are released for almost a decade now. I was out of anything new to buy and this was a daily deal and the reviews were good so I took a shot. Best decision ever. The game is definitely a little more old school in that there aren't morphing objects, excessive side distractions, complex puzzles or a glut of obvious things you accumulate to just plug into a scene to move forward. 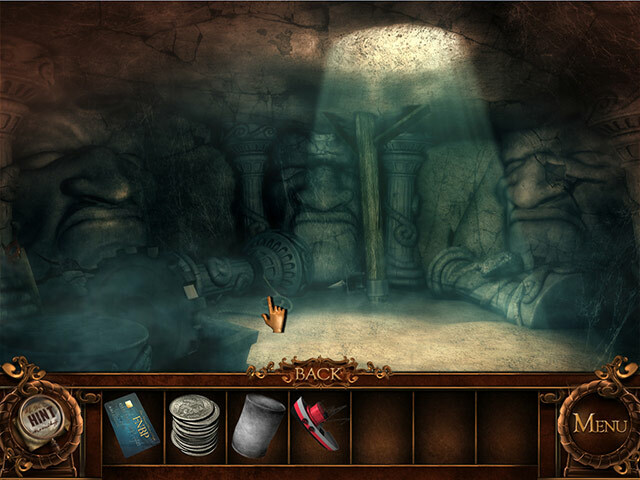 You may not necessarily know exactly what to do next because the objects you collect are used for a logical purpose that you may haven't found yet. The story is flat out the best story-line that I haven't found in many games. It becomes more engaging the longer you play and builds to an ending that feels like a real payoff and accomplishment. This isn't a must play for when the current releases are lacking---this is a flat out must play for HOG players. Rated 5 out of 5 by gamesrgreatfun from Loads of Fun I got hooked on this game during the opening cut scene. I did play the entire demo before I bought it but just because I didn't want to stop long enough to buy it. I just finished playing the whole game and had a blast! My favorite part of the game was the carnival, which you get to play during the demo. If you don't want to play the whole game, at least play the demo to go through the carnival. The storyline was unique and the best part was there wasn't any werewolves, ghosts, witches, vampires, or other occult stuff in it!! This is rare and I for one am truly thankful for the developers breaking out of the mold! There isn't any map but the hint button is directional pointing which way you need to travel through the scenes. There was some traveling but it didn't seem overly much to me. The mini-games were some of the ones I had seen before and some new ones. They were medium difficulty and I had to skip two or three but they were all fun to play. The HOS had a unique twist to it them. I enjoyed the art work in them. Very fun to look at. The graphics in the whole game were very well done and I was very happy to discover new areas so that I could look around. I also enjoyed talking to the various characters along the way. Some of them were a hoot! So, there you have it. I can't find anything to complain about in this game. I thoroughly enjoyed the whole game and I look forward to playing it again. I am VERY happy I purchased it and wished there were more games like this one! Rated 5 out of 5 by Volauvent from WOW This game is full of surprises. The developer is totally buttoned up. It's been a long time since I've seen a game in which the play is so crisp and innovative. Even the HOS have surprises. I bought it before the demo was over! Rated 5 out of 5 by BarbaraFish from Not your ordinary HOS Adventure As a journalist, you are sent to a town where the head of a company has disappeared along with all his workers. The former journalist on the case was scared and left town. (sissy) You keep pushing forward and uncover some fascinating goings on. 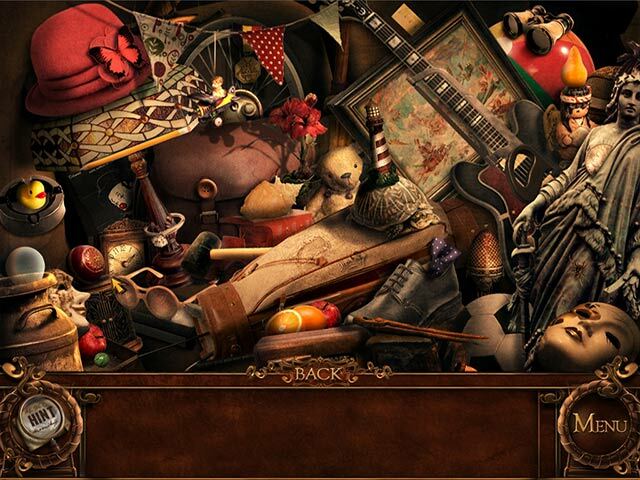 There are hidden objects scenes and puzzles enough to satisfy lovers of both. I thought this was a great game. Wish it had been available as a collector's edition. It's the kind of game you don't really want to end. Loved it! Rated 5 out of 5 by Faith2grace from What a wonderful game!! I usually play games in expert mode and found this game to be a total joy. The level of difficulty was just on the easy side yet I did use the hint button once. The use of items that you find are consistent with a rational story and not absurd. There were different types of challenges, like doing some snooping to discover how to make the ranger a perfect cup of coffee. I usually don't pay too much attention to story lines but found myself following this one. I never play with sound so I can't mention about voice overs or music etc.. I also don't write reviews very often but had to on this game. This was an older type of game and the graphics were very nice. I am so glad I bought this game. It was perfect for my lazy days off this week. You're a top reporter in search of a missing toymaker – but this isn't child's play. Is something otherworldly responsible?